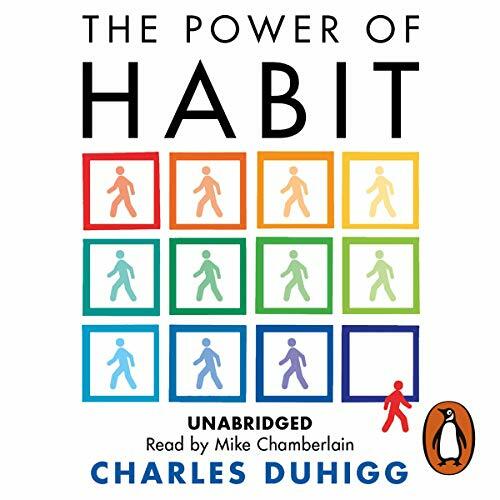 In The Power of Habit, award-winning New York Times business reporter Charles Duhigg takes us to the thrilling edge of scientific discoveries that explain why habits exist and how they can be changed. With penetrating intelligence and an ability to distil vast amounts of information into engrossing narratives, Duhigg brings to life a whole new understanding of human nature and its potential for transformation. Along the way we learn why some people and companies struggle to change, despite years of trying, while others seem to remake themselves overnight. We visit laboratories where neuroscientists explore how habits work and where, exactly, they reside in our brains. We discover how the right habits were crucial to the success of Olympic swimmer Michael Phelps, Starbucks CEO Howard Schultz, and civil-rights hero Martin Luther King, Jr. We go inside Procter & Gamble, Target superstores, Rick Warren's Saddleback Church, NFL locker rooms, and the nation's largest hospitals and see how implementing so-called keystone habits can earn billions and mean the difference between failure and success, life and death. At its core, The Power of Habit contains an exhilarating argument: The key to exercising regularly, losing weight, raising exceptional children, becoming more productive, building revolutionary companies and social movements, and achieving success is understanding how habits work. Habits aren't destiny. As Charles Duhigg shows, by harnessing this new science, we can transform our businesses, our communities, and our lives.